It is a fact universally acknowledged that with increasing screen size and form factor come additional bulk and compromises in portability. Or wait—is it? 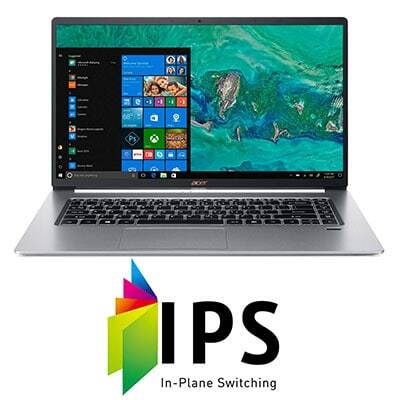 With exciting launches like the 15.6” Acer Swift 5 SF515-51T-73TY/507P, the leading computer manufacturer seems to be setting path-breaking benchmarks in the world of portable computing. It is now very much possible for a personal computer to be deft and diligent—all without being hefty and restrictive. This lightweight laptop from the Acer family weighs only 2.2lbs and has a profile measuring 0.63”. 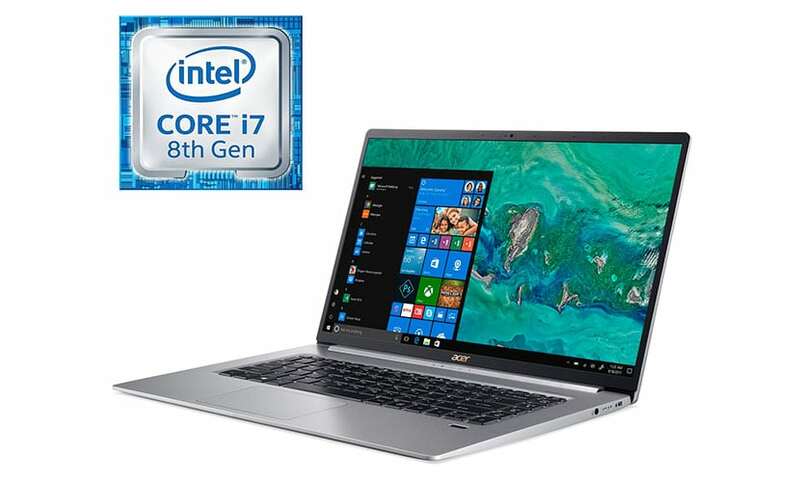 However, if you were to take a sneak peek at the processing prowess, you would have a hard time believing the specs: an Intel Core i7 processor, up to 512GB of storage, and almost 10 hours of battery life. 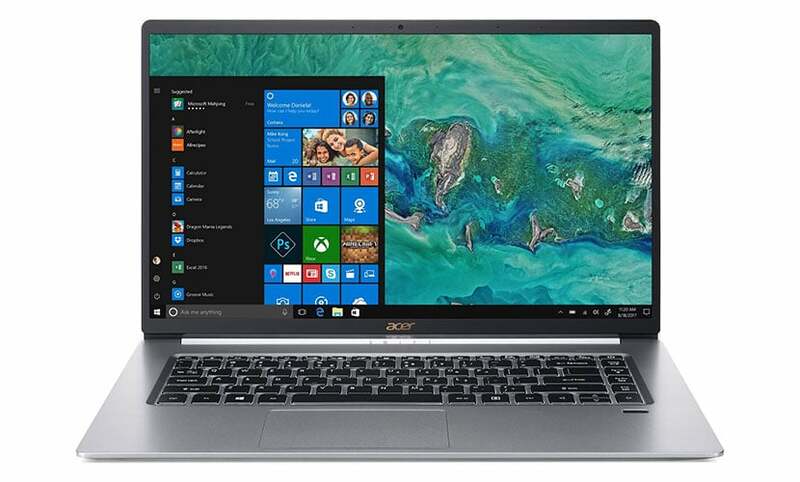 The latest Acer Swift 5 is available in several models including SF515-51T-73TY and SF515-51T-507P, differing essentially in CPU specs. While the SF515-51T-507P model is priced at a tempting $999.99, the SF515-51T-73TY model is dearer at $1399.99. So, apart from its obviously mobile build, how far does this laptop succeed in delivering efficient performance, multimedia support, and competence for daily endeavors? We find out in this detailed review. The latest Acer Swift 5 is driven by a powerful Intel Core i7 processor that can run up to 4.6GHz. It is supported by up to 16GB RAM and up to 512GB SSD. 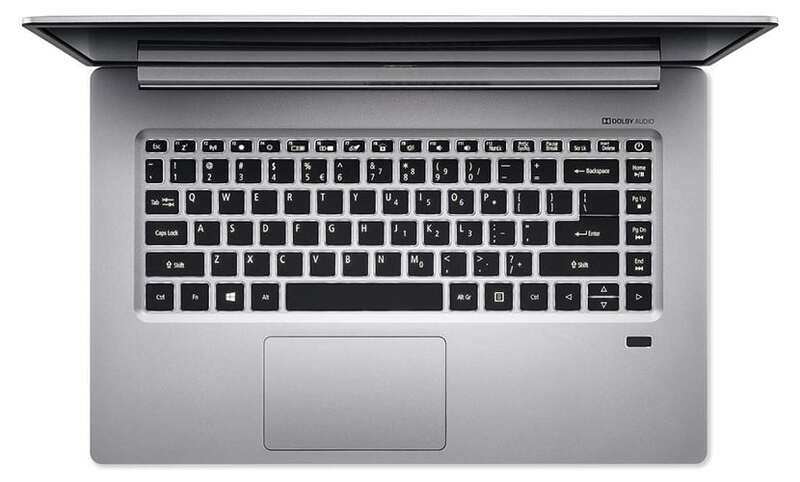 (The SF515-51T-507P model is fitted with an Intel Core i5, 8GB RAM and a 256GB SSD). The operating system is Windows 10 Home. This configuration proves to be ample and more not only for standard computing but also intensive pursuits like running specialized professional software and streaming multimedia on a wireless network. Particularly helpful is the long battery backup of ten hours; the Lithium-Ion battery (4670 mAh, 3-cell) ensures unplugged usage throughout an average workday or a long-haul flight. This 15.6” laptop, with integrated graphics support for Intel UHD Graphics 620, boasts of an incredibly thin bezel that measures only 0.23 inches. This is phenomenal. It ensures that all your multimedia content becomes immersive and compelling, liberated of distractions from external sources. The CineCrystal monitor is FHD (Full High Definition) with a screen resolution of 1920 x 1080 and an IPS panel to minimize image distortion across viewing angles. A special note on the rendition of colors and details: you won’t be disappointed. The display offers a complete color gamut of 100% sRGB and a screen brightness of 300 nits. This helps to make your content bright, vivid and realistic, whether you use your laptop for working on presentations or playing back videos. Note that this laptop has a multi-touch display, which proves to be handy when you use it on the go. It becomes a great deal easier to navigate through menus or access applications via touch when a rickety bus is making life difficult. Another noteworthy triumph of this Acer offering is its superior auditory output. In the present age, many laptop makers tend to sacrifice on acoustics when striving to pack more in less. But here, Acer winningly employs the innovative TrueHarmony technology in conjunction with Dolby Audio Premium. This equips the two stereo speakers to deliver audio with richer bass and volume. The optimized sound enhancement by Dolby Audio Premium also creates a semblance of surround sound to build an almost home-theatre-like experience. This computer’s expertise in the territory of mobility is no surprise. At a sub-2.5lbs weight and a profile as thin as 0.63”, it is remarkably easy to lug this device along wherever you need to be. It slips into backpacks without a glitch, and the build is movement-friendly (overall dimensions: 14.09 x 9.06 x 0.63 inches). It owes its feather-light chassis to a smart choice of construction material: alloys of magnesium-lithium and magnesium-aluminum. The result is a machine that is equal parts sturdy and excellent for travel. How is the ease of accessibility? Quite good! The keyboard is backlit to let you work in all kinds of ambient lighting. It also supports fingerprint-based access with a combination of Acer Bio-Protection Fingerprint Solution and Windows Hello. Besides facilitating quick access, this is also a significant plus for data- and device security—a realm where all portable laptops should develop reasonable authority. Further adding to the mobility of this laptop are reliable provisions for internet connectivity and plugging into peripherals like mice and external displays. This Acer Swift 5 is compatible with dual-band 802.11ac Gigabit WiFi (2.4GHz and 5GHz) and Bluetooth 5.0. The former is quite a jump from the previous 802.11n Wi-Fi (2×2), allegedly delivering up to five times faster performance. Indeed, thanks to the strategic antenna placement, this wireless standard does deliver a more consistent and speedier signal (up to 1.73Gbps throughput when using the 160MHz channels). This turns out to be another potent tool in the arsenal of mobile professionals. Acer has equipped this product with abundant USB ports too. The USB Type-C port is especially nifty due to its rapid data transfer speeds of up to 10Gbps. Further, you can avail of two USB 3.0 ports, one HDMI, and a display port, and an HD webcam with Super High Dynamic Range (SHDR). The webcam offers a video resolution of 1280 x 720 that helps make video calls with colleagues and peers a good deal sharper. At the face of it, the Acer Swift 5 SF515-51T-73TY/507P laptop seems to be a perfect fit for hectic lifestyles. This applies to diverse audience groups like students, professionals, travelers, and even homebodies who need a device that can rest on their laps by day and work from kitchen counters by evening. Weight 2.2 Lbs. 2.2 Lbs. Powered by a mighty processor and equipped with plentiful processing meat, this laptop manages to serve a wide gamut of pursuits—from the workplace to the entertainment frontier. 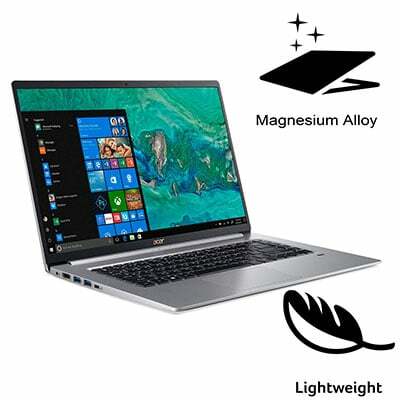 Its excellent portability, pleasant viewing experience, and well-connected build give it a distinct edge in the crowded marketplace of portable 15-inch laptops. Lisa is a full time author at mylaptopguide. She mastered in Computer Hardware recently and have great computer knowledge. In addition to that, she loves photo & video editing works and handles most of the editing work at mylaptopguide.